As the vast majority of you young Lucky Scooters fans out there already know, with the coming of each new year, a lot of people like to take some time out to reflect on the year that they have just experienced, while also thinking about the changes that they would like to make as they enter into the new year. This is an important and ritualistic time of the year for most people because it is a chance for a brand new start and also an opportunity for growth and progress, which is precisely why it is so important for each and every single one of you to utilize this time to reflect on yourselves as freestyle scooter riders. No one has ever achieved anything truly great with out working extremely hard for it and setting goals for themselves. If there is a trick that you have been envisioning yourself landing in your head for a long time than turn that vision into a reality. Anything that you are capable of creating in your head, you are also capable of wielding into existence, which is exactly why I put so much emphasis on the importance of goal setting. It doesn’t necessarily matter what sort of goals you create for yourself, as long as you are progressing as a freestyle scooter rider as you achieve them. I have had certain tricks that were stuck in my head for several years before I was finally physically capable of landing them in real life, but the important thing is that I did eventually land them. The single most important thing that you can take away from this article if you are going to learn anything from it at all, is the importance of setting personal goals for yourself, and not stopping or giving up until you achieve them. Bringing in the New Year doesn’t necessarily mean that you have to completely change who you are as a person, and who knows, maybe you don’t need to change anything at all, but it is a whole lot harder to achieve something if you don’t have a clear understanding of what exactly it is that you are attempting to accomplish. Keep that in mind the next time that you are out pushing around on your scooter. Anyways, hopefully at least some of you young freestyle scooter riders out there find a little bit of value in this article and learn a thing or two from it. However, for those of you who claim that you didn’t learn anything from this particular article than stay tuned right here at the Lucky Scooters blog for future articles that may actually capture your full attention. 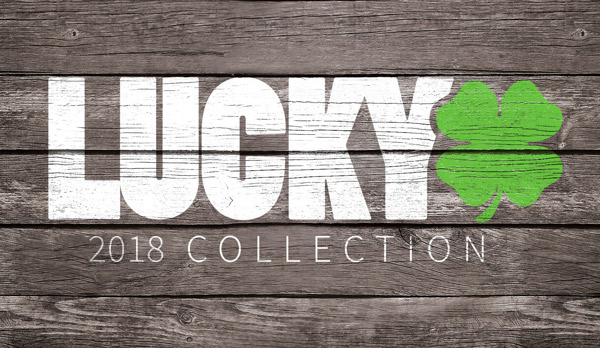 As for any and all other future Lucky Scooters news, content, and updates, be sure to stay tuned right here, as well, so that you can always be well informed on the latest and greatest Lucky Scooters happenings. Looking for a new scooter? Shop HERE!